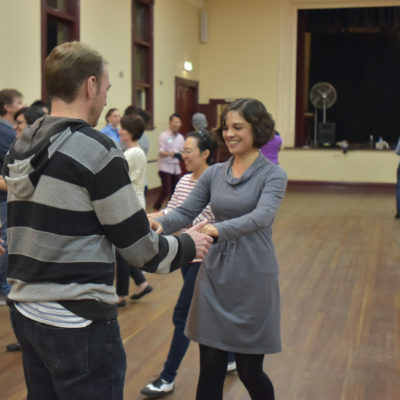 Weekly Level 1 Classes - Swing It! Taking up dancing can seem scary at first but it’s really not, it’s fun. SO much fun! You’re going to have an absolute blast, meet a whole bunch of new people and impress yourself with what you’re capable of. Fun is where it’s at and that’s what our Level 1 classes are all about. We know you’re worried you might “get it wrong”, we also know you’ve probably never danced in your life but that’s absolutely okay. We’ll look after you. 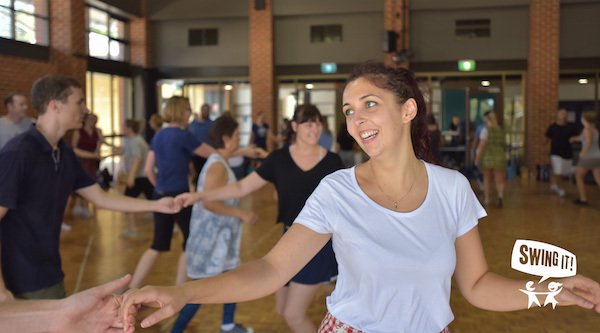 Join in on our Level 1 classes and we’ll show you why dancing is fun and why you should have started this years ago! Never done Swing dancing before? This is where you start. Each weekly class is designed to be someone’s first, while at the same time offering new moves and material, so you can start whenever you like. No experience or partner necessary and no need to book, just turn up! The Level 1 course runs for 5 weeks but it doesn’t matter when you start, it’s a course that starts whenever you do. Once you’ve done your 5 weeks in Level 1 you can move up to Level 2. When you turn up let our friendly teaching staff know this is your first night and they’ll make sure you’re looked after. $60 for five weeks (that’s only $12 a class!). $60 will get you a Star Card which gives you 5 classes that you can use at any venue (there’s no expiry date on the card so you can spread them out if you need to). We highly recommend doing the whole course but if you absolutely only want to do one class then a single class will cost you $20. We definitely recommend the $12 option! Is Level 1 a course? Yes but it starts when you do. We cover the basic steps every week so each class is designed to be someone’s first. Each week you’ll cover the basics and then learn new material. There’s a five week rotating syllabus and you can start at any time. It’s best to come every week as there’s new moves and material each time and consistent learning has great benefits. However if you miss a week (or a few) due to work or life then you can easily do a make up class to catch up on the material you missed. Within a week each venue is covering a different number of our rotating syllabus. Subiaco on Monday might be teaching Week 1 while North Perth is teaching Week 2 or 3. So if you miss a week then you can easily catch up on the number you missed within the next week by going to more than one venue. As long as you’re covering Weeks 1 – 5 you’re all good, and you can do that in any order and, if you like, by doing more than one class in a week. Do I need to go to the same venue each time? Not at all. Your goal is to cover the five weeks of material and you can move between venues whenever you choose as you do this. Can I just do one Level 1 class? Our Level 1 classes are a course and we definitely recommend you do all five classes. All five classes costs $60 which works out to $12 a class. If you absolutely only want to do a single class you can, a single class costs $20. I’ve done other dance styles before, can I skip Level 1? 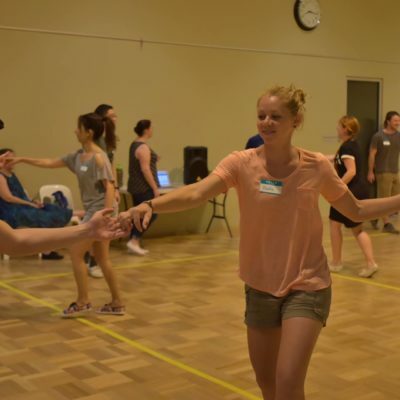 Unless you’ve had experience with Lindy Hop before you can’t. As dance professionals ourselves we strongly believe in learning a new dance from its foundation. 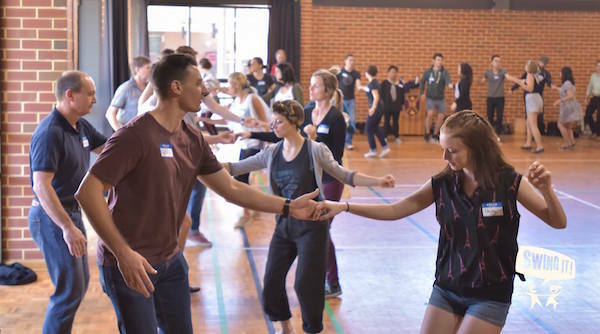 Every dance is uniquely different and never more so than in the foundation and basic structure of the dance. 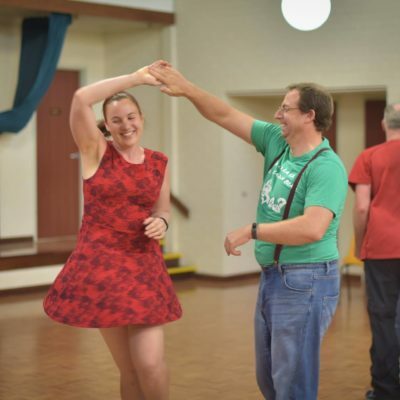 We also teach basic moves like the Swing Out that are a requirement for moving into Level 2, without these you’re unable to attend that level. How long do I stay in Level 1? The Level 1 syllabus covers 5 weeks of material. We continually cycle through all the moves and rhythms you need to know at this level so it doesn’t matter when you start. 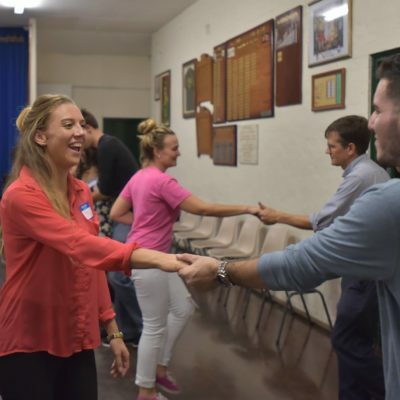 After 5 weeks you’ll want to be thinking of moving up or at least doing Level 1 & 2 together.